Here is a brief history of university education in Ireland. Ireland’s first university was authorised by Pope Clement V in 1311, and founded in St Patrick’s Cathedral. Royal letters patent of 1358 conferred protection on its students, and there were various papal and royal grants to fund lectureships in theology. The university had a rather chequered history, with periods both of vigour and of absolute inactivity. It came to an abrupt end with the Protestant Reformation of the 1530s. As the Tudor re-conquest of Ireland was reaching its long-drawn-out conclusion, Trinity College was founded on a local initiative. The college received its charter and university status in 1592 (fifteen years before the Flight of the Earls), and Dublin Corporation granted it a substantial site a few hundred yards outside the city walls, the site of a former monastery. Its first century was an unsettled time in Ireland – various college officials fell victim to national politics, and in 1689 its entire membership was temporarily evicted so that the college buildings could serve as barracks for James II’s army. But in the largely peaceful 1700s the college’s wealth, status and influence grew, well into the 1800s. As the university of the Protestant ascendancy, it received significant state and private funding, much of which is still evident in its buildings and library holdings. Most students would have read for the BA, covering classics, mathematics, a little science and some philosophy; this course remained in its essentials unchanged until the 1830s. A national seminary for the training of Catholic priests was established in 1795, as St Patrick’s College, Maynooth. While theology and philosophy long remained the principal subjects, the curriculum was broadened early on to include languages, mathematics and science. Evidently, there was considerable “mission creep”, yet the college still ostensibly aimed solely at training Catholic priests, and so it could not hope for state recognition as a university. Papal recognition was another matter; it eventually received its charter as a Pontifical University (after various twists and turns, narrated below) in 1896. 1845 saw the creation of three new colleges, widely dispersed: Queen’s College Belfast, Queen’s College Cork and Queen’s College Galway. They were linked under the umbrella of the Queen’s University of Ireland, which received its charter in 1850. While in one sense the development was plainly positive, immense controversy and dissatisfaction surrounded this and most other aspects of Irish political life at the time. Starvation in the wake of the Great Famine was still endemic, making expenditure on higher education difficult to justify. The Catholic hierarchy deeply resented the secular status of the new university, especially as the bulk of its students would be Catholic; the “godless colleges” were loudly condemned, notably by the Synod of Thurles (1850). Disapproval of secular education was echoed by many Protestants, if on rather different grounds and with rather different motives. Business support was contingent on how well the colleges’ agenda coincided with their own. Secular support for the colleges existed (rather more in Belfast than elsewhere), but was patchy. One resolution of the Thurles Synod was to establish a Catholic university, and in 1854 the Catholic University of Ireland was formally established in central Dublin, with John Henry Newman as Rector. (Newman’s classic The Idea of a University was written in this period.) As a private institution it could not grant recognised degrees, and by the late 1870s it was in serious decline. However, a reorganisation of the Queen’s colleges led to the dissolution of the Queen’s University and the creation of the Royal University of Ireland (charter granted in 1880). The new university’s examinations were open to all candidates, and in this regard the three Queen’s Colleges had no special status. This allowed for a modest revival of the Catholic University. That university by then encompassed St Patrick’s Maynooth, and the Dublin end was re-structured as University College Dublin, which passed into the control of the Jesuits in 1883. These developments lessened religious tensions, but provoked regional resentments, as the Queen’s Colleges became increasingly driven by local concerns, and accordingly unhappy with central control. The same period saw the establishment of Magee College at Derry/Londonderry in 1865 (funded by a large bequest two decades earlier). It was primarily a theological college for the Presbyterian Church, but it quickly developed a broader remit, and was open to all Christian denominations. It was incorporated into the Royal University in 1880, and grew considerably as a result. Over this period, Trinity College fought a long, and ultimately successful, battle to avoid inclusion in the various proposed national schemes. Internal reform at Trinity had been long in coming. Catholics were permitted to take degrees from 1793; the first scholarships open to all Christian denominations were instituted in 1854; general religious tests were finally abolished in 1873. In Trinity as elsewhere, academics were becoming more specialised, as knowledge grew and was increasingly systematised and professionalised; the very general degree of BA slowly gave way to the more specialised honours degrees that are the norm today. The admission of women to higher education occurred with remarkably little public friction, when compared with other fundamental reforms. The first female students were admitted to Cork in 1885; to Trinity in 1904. The first Irish female professor (before any in the UK) was Mary Ryan, Professor of Romance Languages, appointed at Cork in 1910. The fight for equality was long, and mostly fought out of the public gaze. Different standards of conduct for women and men persisted for many decades. The opening-up of higher education to women may today be regarded as largely complete at the student level and for the lower ranks of staff, though at professorial level and higher there is plenty of room for improvement. Notably, no woman has yet served as President/Provost of an Irish university. The watershed year was 1908, when Irish higher education was fundamentally reconsidered. Eerily anticipating national political developments, the Belfast college was allowed to go its own way, becoming Queen’s University Belfast. The Royal University was dissolved, and in its place was established the National University of Ireland, consisting initially of University College Cork (the former Queen’s College), University College Dublin (now a secular institution) and University College Galway (the former Queen’s College). In 1910, St Patrick’s College Maynooth received NUI recognition for its non-theological functions, effectively dividing its activities into secular and religious portions – a split made more definite in 1966 (when the secular side began to admit lay students) and final in 1997. 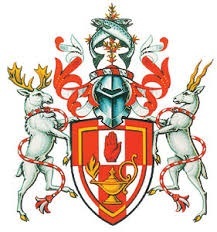 Magee suffered a serious decline in status and funding, failing to achieve NUI membership or merger with Queen’s Belfast; it formed an alliance with Trinity, sending its undergraduates there for the final years of their degree and thereby earning Trinity degrees. Trinity itself remained aloof from all national schemes. Despite initial and continuing controversy, this arrangement proved fairly resilient through the dangerous times following, including the creation of the Irish state, the civil war, and the harsh times afterwards. The needs of the modern economy have entailed increasing investment in higher education. More government funding has inevitably meant more government attention on how the money is spent, particularly through the institution of the Higher Education Authority (established in 1968), which in practice operates as a buffer between the universities and the Department of Education and Science. Each of the universities and colleges has grown hugely over the last century; other institutions have also been established and encouraged to grow. Particularly noteworthy is the creation of two National Institutes for Higher Education, to provide technical education at university level: NIHE Limerick opened its doors in 1972, and NIHE Dublin in 1980. University status was granted to both in 1989, so that they became the University of Limerick and Dublin City University respectively. The NUI colleges’ aspirations for autonomy were finally realised in 1997, with the granting of university status to the four original members, which decided that they would now (for most purposes) be known as NUI Galway, NUI Maynooth (which at the time of writing has re-branded itself as Maynooth University), University College Cork and University College Dublin. The financial crisis of 2007 induced government to seek amalgamations between existing institutions, with the result that an increasing number of students were drawn into increasingly large institutions. University status remained much sought-after by the larger Institutes of Technology, and the government used the carrot of university status to induce ITs to merge, on the promise that the merged institution would count as a technological university. The larger ITs – especially Waterford IT, Dublin IT and Cork IT – had long demanded university status purely on grounds of merit, and the various interested parties showed varying levels of enthusiasm for the proposed mergers. At the time of writing, three Dublin ITs have merged to form the new Dublin Technological University on 1 January 2019; other mergers or potential mergers are at various states of negotiation. In the North, Queen’s Belfast grew steadily, and is now a significant presence amongst the UK universities. Magee by contrast suffered a very low period, ending only in 1953 with a separation between the theological college and Magee University College, the ending of the arrangements with Trinity, and the resumption of full government funding. The issue was tied into wider political concerns, as a larger and more prosperous Magee would have been seen as benefiting nationalists more than unionists. A government report in 1965 recommended Magee’s closure in favour of a new university at Coleraine, but after considerable opposition a compromise was accepted under which the New University of Ulster (1968) would have a Magee campus and a Coleraine campus. A further merger with Ulster Polytechnic in 1984 resulted in the University of Ulster, today spread across four campuses (Belfast, Coleraine, Magee and Jordanstown) – though its centre of gravity is now shifting, with the winding-down of the Jordanstown campus, the growing importance of the Belfast campus, and Magee’s increasingly vocal aspirations to independence. No-one can foresee the future, but some things are obvious. Issues of university recognition, funding and control have always been intimately linked with issues of economic development. In a nation long on talent and short on most other assets, it is to be expected that central government will pay increasingly close attention to the organisation and management of the universities. More sophisticated financial and management tools will no doubt encourage government to exercise control at deeper and deeper levels. The only obvious counter-strategy for universities is to generate more income from non-state sources; how successful they will be depends on many factors. International pressures, including the terms of trade in the international education market and attempts to standardise qualifications worldwide, will also no doubt have an influence. Watch this space. Institutional histories: Galway, NUI, UCD. Wikipedia: Catholic University of Ireland, Magee College, Medieval University of Dublin, National Institute for Higher Education, National University of Ireland, University of Ulster. Catholic Encyclopaedia: Catholic University of Ireland, Maynooth College, University College Dublin. Powered by WordPress v 5.1.1. Page in 2.147 seconds.